On the agenda the day before the race was a short ride, a strategy meeting or two, final bike tinkerings and, for me at least, one final big beer (a tradition I have convinced myself that works). 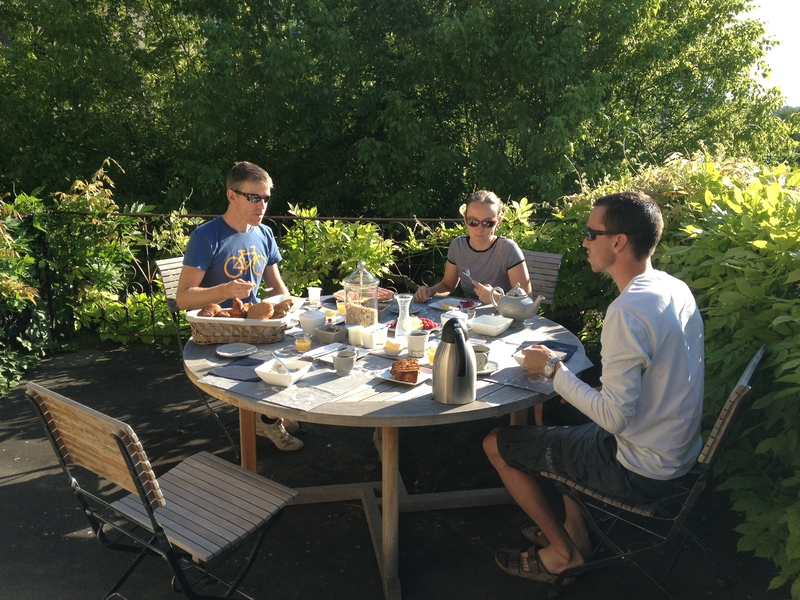 The day began with what looks like a Mexican standoff, but actually was a very civil breakfast on the veranda. 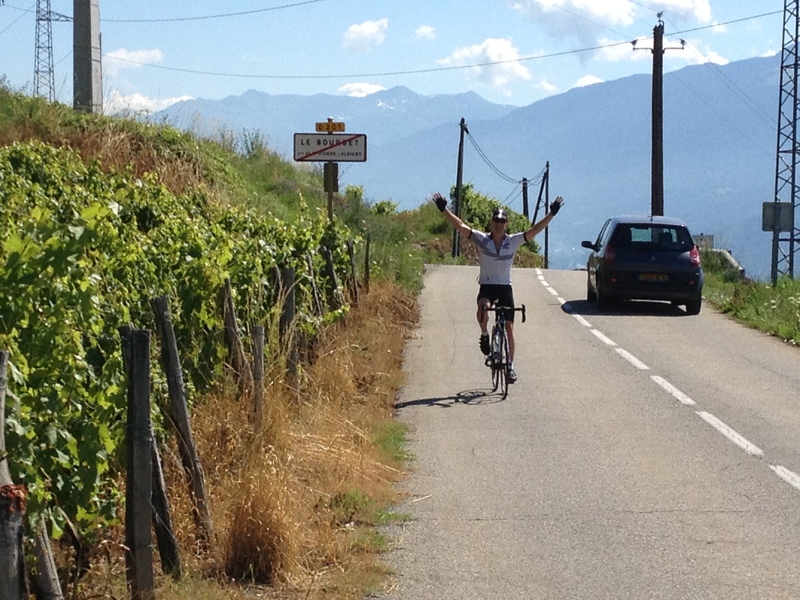 Anne had planned a 60km ride for herself, climbing two pretty big cols in the process. Team Slacker rode out with her till the climb began and continued on the flat till we had enough. Here are some choice shots from the morning. Looks like I’m practicing my victory salute for the following day’s finish line, but this was actually just an expression of how I felt, riding over those gentle rollers through that wide Alpine valley. Not much comes close to it. This entry was posted in Cycling and tagged etape du tour 2012. Bookmark the permalink. Nice old school retro look. That’s what we all looked like before helmets were invented. How did we ever survive those days of racing without any head protection? It’s funny how weird I feel these days riding without a helmet. I just started wearing one two years ago, more or less.